Forecasts | Freese and Nichols, Inc.
El Niño continued during March 2019, as above-average sea surface temperatures persisted across the equatorial Pacific Ocean. In the April 2019 Climate Prediction Center update, it was determined that a weak El Niño is likely to continue through the Northern Hemisphere summer 2019 (65% chance) and possibly fall (50-55% chance). To read more, click here. The National Oceanic and Atmospheric Administration (NOAA) U.S. Seasonal Drought Outlook map for April 17 through July 31, 2014 shows drought to persist or intensify in most of the southwestern United States. In Texas, drought is expected to develop, persist or intensify throughout parts of West Texas and the Panhandle. In the eastern and southern portions of the state, drought improvement or removal is likely. To view the NOAA U.S. 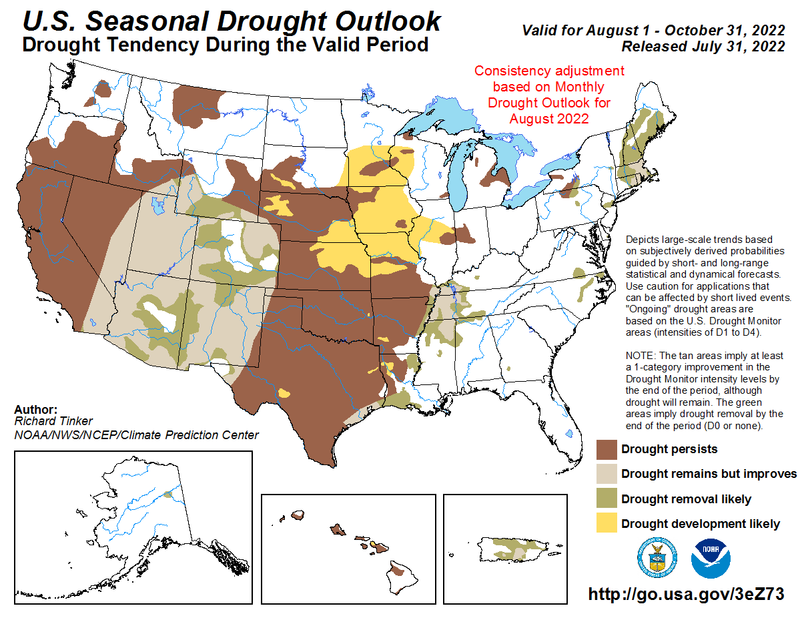 Seasonal Drought Outlook map, click here.